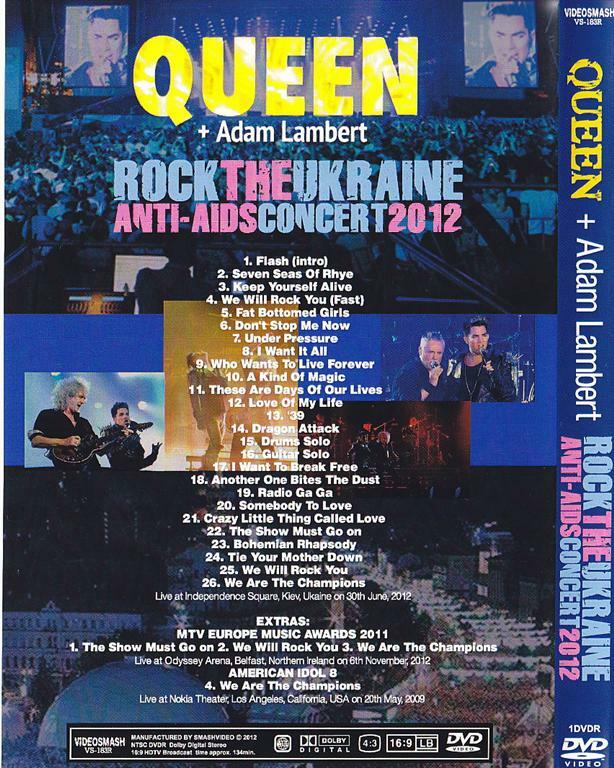 Recorded: Live at Independed Square, Kiev, Ukraine June 30th. 2012. Comments: 16:9 format. Live on Ukraine national television. Complete show. 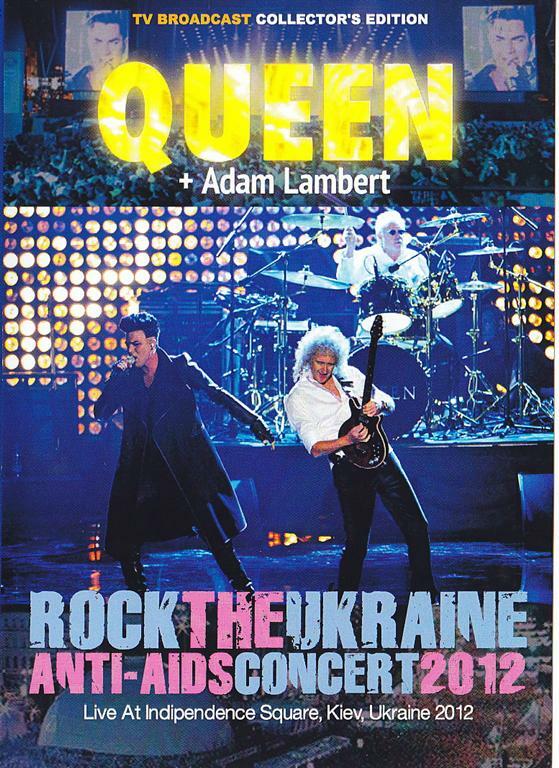 This was the first full concert with Queen + Adam Lambert. Also out on other bootleg DVD-R. Comments by Ukraine DJ between the songs, translate what band say's etc. So far NO officially release of this concert. A part of a Anti AIDS concerts. Elton John plays a gig before thisone. Same day. Roots: National Ukraine television broadcast.